Written by the late Burrough’s expert Frank R. Westwood, this article introduces the reader to Edgar Rice Burrough’s second pulp story The Outlaw of Torn. The road for ERB to get Outlaw published was not nearly as smooth as his other two most famous creations, John Carter of Mars and Tarzan of the Apes, were. 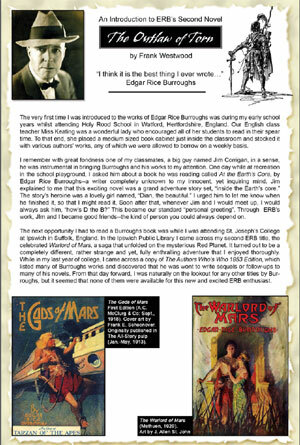 Nonetheless, despite the initial criticism and resistance, ERB believed in his story, persisted and eventually landed the tale as a 5-part serial in the pulp New Story Magazine in Jan.-May, 1914. This is how it happened. 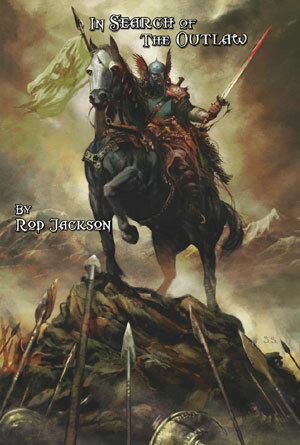 Meticulously researched and brilliantly written by ERB expert Rod Jackson, this 3-part exposé explores the historical facts and personalities that enrich this fascinating Medieval epic. Is Norman of Torn fact or fiction? And what about the mysterious Castle of Torn? Does the fortress lay silent upon some dark mountain in the Peak District of Derbyshire ready to be discovered? And what about the historical Battle of Lewes - who were the combatants and what were they fighting for? These and other enthralling questions are pondered and explored.